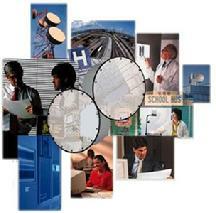 AccessPlus Communications designs, implements and operates a full spectrum of telecommunication access solutions. AccessPlus Communications uses its extensive network throughout New England to deliver wholesale Metro Ethernet and SONET solutions to carriers. AccessPlus Communications provides a host of telecommunication services to enterprises, small businesses, educational institutions and municipalities. AccessPlus Communications can also create and manage custom access solutions tailored to customer's individual needs.